Find out more about Russian student, Kseniia Samokhina, and her experience of studying with INTO City. City, University of London's Pre-sessional English language courses are at our INTO City, University of London campus close to Liverpool Street station and will ensure that your English language is of the required level to cope with the demands of studying at City, University of London. Pre-sessional courses are suitable for both bachelors and masters courses and are available as 4, 8 and 12 week programmes, and run from late June to early September - depending on language level and the requirements of your Institution programme. The language requirements vary for each City, University of London course and can be found on individual course pages. At the end of the course you do not need to take another Secure English Language Test (SELT) but you will be formally assessed and will need to obtain the specified score in order to meet the entry requirements and progress to your City, University of London degree programme. If you already have a SELT that meets the entry requirements of the course, you are still welcome to attend one of our Pre-Sessional courses to improve your English further and to help with your preparation for studying at City. To secure a place on the Pre-sessional English course you must have a valid UKVI-approved Secure English Language Test (SELT) result, and a conditional offer of a place at City. The Pre-sessional course you need to attend is dependent upon the SELT score you have already obtained and the degree programme for which you have a conditional offer to study. For more information on the courses, including entry requirements, fees and how to apply, please visit the INTO City, University of London website. The courses below are City, University of London’s formally approved International Foundation programmes and only ones which offer guaranteed entry to a specific degree at City (provided that you achieve the grades required). The programmes provide academic preparation for first year undergraduate entry and ensure you meet the academic English language requirements for your chosen degree programme. Successful completion of the course leads to the award of the City, University of London International Foundation Certificate, and students reaching the required grades are guaranteed entry to City, University of London. Preparatory courses from other institutions, including David Game College, Bellerbys Colleges, CATS Colleges and Kings Colleges, are considered on a case-by-case basis. Please contact international@city.ac.uk for more information. Successful completion of the course leads to the award of the City, University of London Graduation Diploma, and students reaching the required grades are guaranteed entry to over 40 masters degrees at City, University of London. 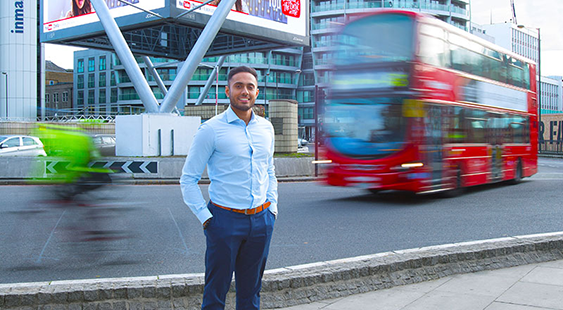 KIC London provides Foundation courses for international students which lead to entry to City, University of London undergraduate and postgraduate degrees. KIC London offers comprehensive support including regular one-to one tuition. Progression to the University is guaranteed if you complete your KIC London course at the required level. Kaplan IC London’s Foundation Certificate equips you with the English language ability, the academic skills and the key subject knowledge needed to study an undergraduate degree. After successful completion of the Foundation Certificate at the required level, students can progress to City, University of London to study an undergraduate degree in a variety of related subjects including business, economics, finance, law, management, mathematics, politics and psychology. Kaplan’s Pre-Master’s programme provides ideal preparation for postgraduate study at City, University of London. After successful completion of Pre-Master’s at the required level, students can progress to City, University of London to study a postgraduate degree in a variety of related subjects including criminology, economics, law, media and politics.